Fishing provides an escape and enjoyment for any outdoorsman. Fishermen are attracted to the open waters and fresh air. However, even the most dedicated fishermen need another source of entertainment. 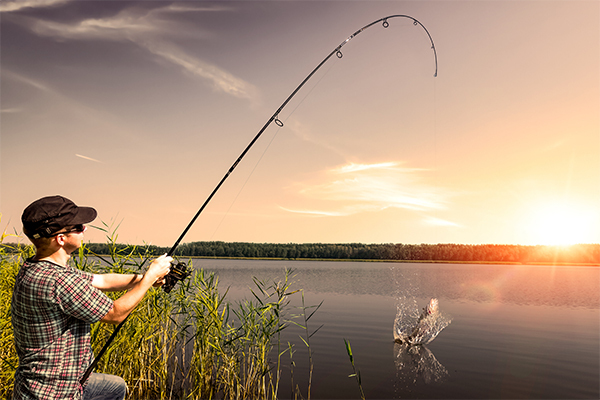 When the fish stop biting in their favorite fishing holes for a season, or when the fishermen simply want an alternative activity that is similar to fishing, they can turn to the following hobbies compiled by the team at FishingLicense.org to supplement their passion for the sport. Hunting, like fishing, is a rather solitary sport that requires specialized equipment. Silence is necessary in order to sneak up on prey during hunting trips, just as fishermen must stay quiet to avoid scaring away the fish. Hunters and fishermen both collect personalized and fortified gear to perform their activities, and the success of each outing can be measured by the amount of bullets or bait used. Fishing and hunting also have similar origins. Originally, they were performed as a means for survival, but now, both sports have recreational benefits. The team at FishingLicense.org urges fishermen who wish to pursue another hobby that involves great skill and determination to explore hunting. Cooking does not parallel fishing in terms of its physical demands, but cooking is an activity that can be paired well with fishing. For instance, many fishermen bring their best catches back with them to prepare for dinner. Learning how to make sophisticated and delicious meals out of freshly caught fish may be the perfect solution to improve a fisherman’s skillset and give him or her another source of gratification. The team at FishingLicense.org also notes that preparing meals may serve to alleviate stress, as it requires a type of hands-on focus not unlike fishing. Taxidermy, similar to fishing, focuses on the appreciation of nature and a feeling of accomplishment. Fishermen often photograph or preserve their largest catches to commemorate the occasion, just as taxidermists revive animals to portray nature in a realistic way. Although some fishermen may be uncomfortable with this form of preservation, taxidermy may help other fishermen get the most out of their love for nature and give them the opportunity to show others their accomplishments. Wood-making requires precision and attention to detail, and fishing is not very different. Fishing demands a widespread knowledge of bait types and fishing techniques, and wood-working requires workers to familiarize themselves with the necessary tools and how to use. Additionally, both activities involve a great deal of thought. The team at FishingLicense.org encourages fishermen who are eager to find a hobby that elicits meditation and evokes craftsmanship to try adding wood-working to their daily activities. Kayaking allows adventurers to immerse themselves in the outdoors. Much like fishing, kayaking enables kayakers to embrace the fresh air and water. Fishermen can take a break from fishing and kayak in the same environment. As such, the team at FishingLicense.org believes this specific activity to be the perfect complement to the sport.